Should You Buy Helix Credits & Purchasable Contents? 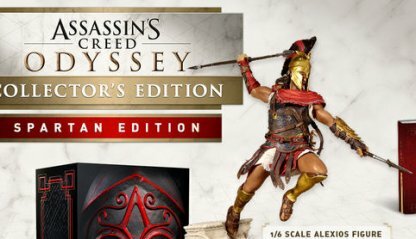 Know everything to know about the available Assassin's Creed Odyssey editions, including their content, inclusions, & prices. 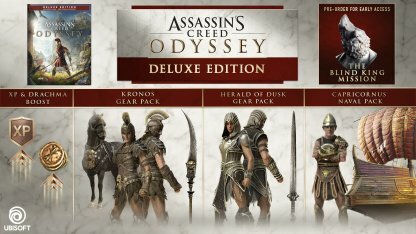 Which Edition of Assassin's Creed Odyssey Should I Get? 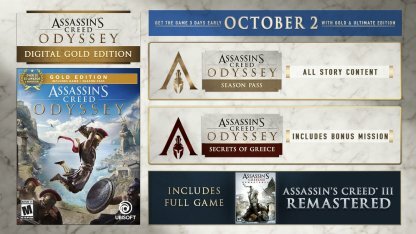 All in all there are 8 editions available for Assassin's Creed Odyssey that players can choose from. Each one differs in content and price so weigh out all your options before buying! 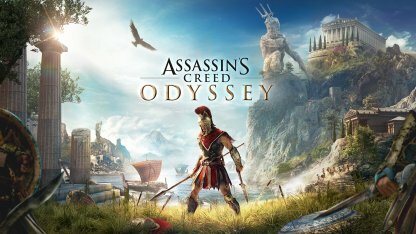 Players who are new to the Assassin's Creed franchise are recommended to get the Odyssey Base Game first to get a feel of the game before committing to the Season Pass. With the Season Pass and 3-day early access, the Gold Edition is a good choice for fans of the franchise who seek to enjoy the game without putting out too much cash. 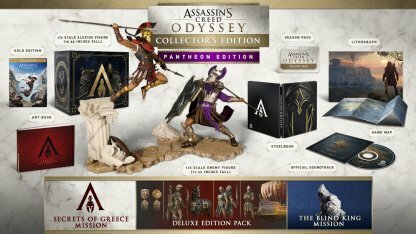 The Medusa, Pantheon, and Spartan Editions each come with more Assassin's Creed limited edition paraphernalia and items, including Figurines of the Greek Hero in action. Get them while you still can! 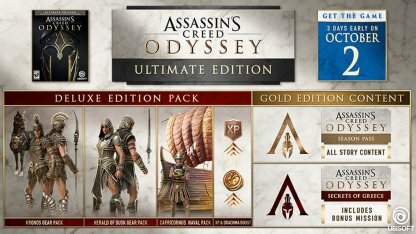 The Standard Edition is basically just the Base Game, but don't fret if you got this and you still want to play the DLC. The Season Pack is available for purchase separately. Get exclusive skins for characters, weapons, ship, and your crew with the Digital Deluxe Edition! 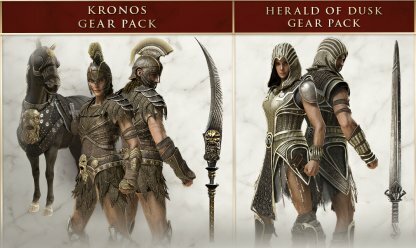 Outfit yourself with two exclusive skins for Alexios and Kassandra, as well as two new swords to use. 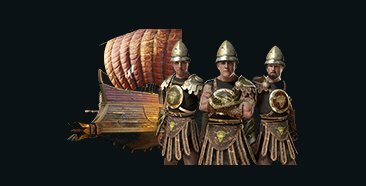 Put your crew in a themed outfits along with your ship with the Capricornus Naval Pack. 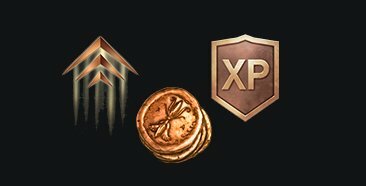 You'll get two temporary boosts at the start of your game, including drachman and XP boost, with the Digital Pack. 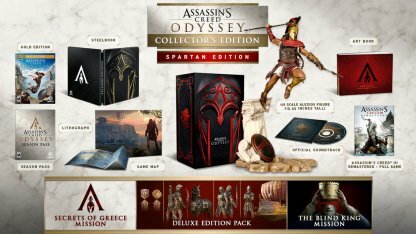 Play the game before its worldwide release if you pre-order the Gold Edition! 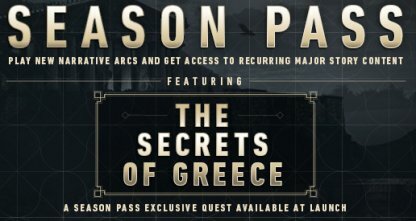 Get access to new narratives and major story content, including "The Secrets of Greece", an exclusive quest available when you buy the Season Pass. 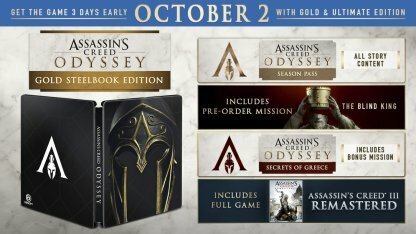 Play the game before it's worldwide release if you pre-order the Gold Edition! 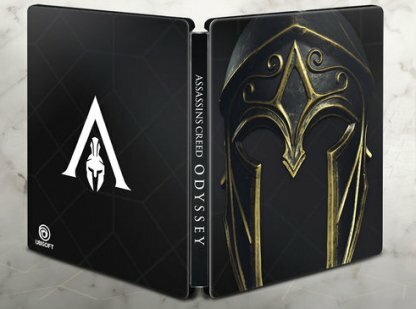 With a foreboding metal spartan helmet against the dark, the Limited Edition Steelbook will keep your Assassin's Creed Odyssey safe in style! 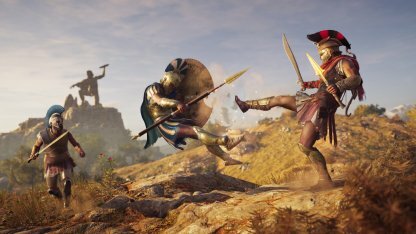 With the deluxe digital pack and the Season Pass, the Digital Ultimate Edition promises additional gameplay and cool outfits for Assassin Creed Odyssey players. Feel the might of the Greek Hero as he finishes off the Gorgon and keeps her head as a war trophy! The artbook will include concept art of the series and the development of the series up until its final stages. 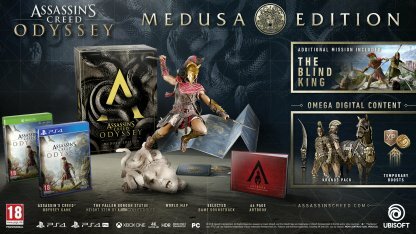 The Blind King is an exlusive mission only available with pre-orders. Frozen in a leap to battle, the Greek Hero is ready to drive his spear inside his enemies. 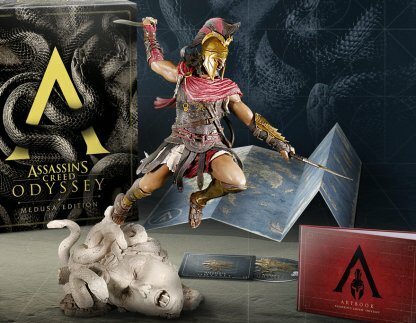 With a foreboding metal spartan helmet against the dark, the Limited Edition Steelbook will keep your Assassin's Creed Odyssey in style! 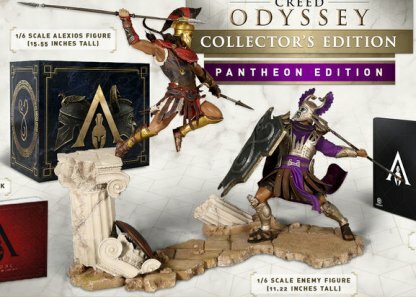 Fighting against each other in a brutal dance, the Greek Hero is depicted in his battle against his nemesis in this exclusive diorama.